While it does seem have some jump scares, I think what really sells this is the audio. Like the Silent Hills demo, it seems as if a built-in radio will narrate some of the experience, and the things the game says are kind of eerie. Note, for example, how the radio guy goes on about how this is all in your head. When the player stands still, he actually notes it! It’s kind of cool. The developers say that the game understands where you’re standing, and actively uses that information to craft your experience. 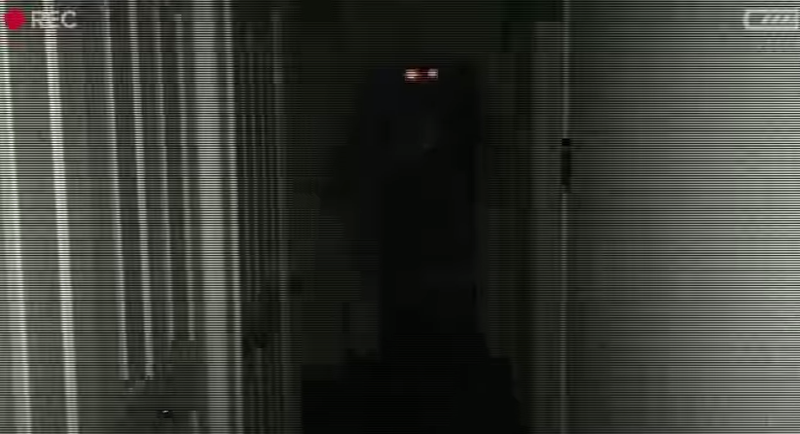 “The camera and microphone feeds are analyzed and processed in real time,” they note on Night Terror’s Indiegogo page. “Photorealistic elements are added to the camera feed. Audio is spatialized, mixed with the microphone feed, and then routed to the headphones delivering an immersive binaural audio experience.” Binaural audio, as you may know, is special in that it aims to make the user physically feel stuff. When it’s successful, it’s pretty damn good—the most terrifying creepypasta experience I’ve ever had involved binaural audio, which activated at a key point during the story. Probably the most intense feeling of dread a game has made me feel, all thanks to the audio. It’s hard to say if Night Terrors will succeed on that same front, but the potential is at least there. I also like that since the game takes place on your phone, it creates that an authentic sort of ‘found footage’ feel. Could be effective! Night Terrors is hoping to raise $70,000 on Indiegogo. Currently, they are almost halfway there.